Katty Coffron joined the Templeton Chamber Board in the fall of 2012. Katty recently completed a Ph.D. in Human Development and is licensed as a Marriage and Family Therapist and as a Professional Clinical Counselor. Her specialties are helping couples restore love and intimacy in their relationships and helping individuals get back on track in their lives. She finds tremendous personal satisfaction in helping her clients create lasting positive change in their lives. In addition to her experience in the field of psychology, Katty brings considerable business experience to the Board. She worked for 20 years at Hewlett-Packard where she held a variety of positions, such as IT Director, R&D project manager, R&D engineer, and technical consultant. Katty received her bachelor’s degree in Engineering from U.C. 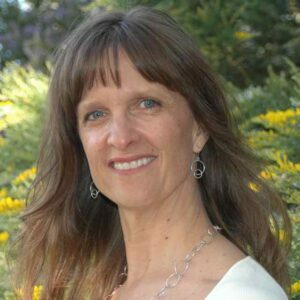 Davis, her master’s degree in Counseling Psychology from Santa Clara University, and her doctorate from Fielding Graduate University. Her dissertation focused on adults who have difficult relationships with their parents, to help professionals better understand the challenges that these adults go through, and how they deal with them. Katty lives in Atascadero with her husband and their two dogs. When she’s not working or studying, she loves to cook, read, or go out to enjoy the sights, foods, and wines of SLO County!